Heartworms In Dogs- Facts And Figures! 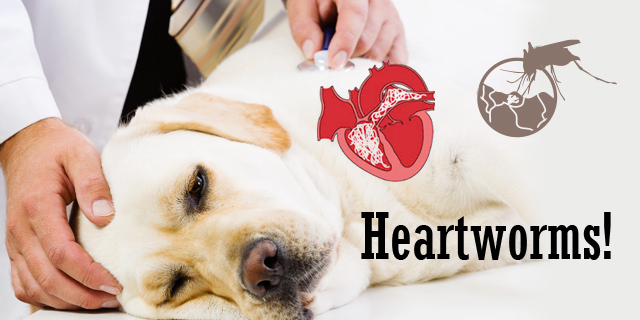 Heartworm is a parasitic nematode worm that infests the heart of dogs and other animals. It goes through four steps before phasing into an adult worm. There are several myths and misconceptions regarding heartworms among pet owners which are misleading. It is crucial for all the pet parents to understand and know the facts about these worms to protect the furry animals from this lethal infestation. Let’s have a look at some interesting facts about heartworms that might help you in pet care! Mosquito is the only mode of transmission of heartworms in animals. If someone misguides you by passing on wrong information about its transmission, don’t believe them. It is a false belief that an infected dog can spread heartworms. As mentioned above, there is no other vector of these worms apart from mosquitoes. More than 70 species of mosquitoes can spread heartworm larvae to animals. Another myth that prevails among pet owners is that the cats cannot get infected with heartworms, which is completely incorrect. Virtually 61%-90% cats are exposed to the infective heartworm larvae. Heartworms can target more than 30 species of animals, including coyotes, foxes, wolves and other wild Canidae, domestic cats and wild felids, ferrets, marine mammals, and humans. Dogs are at a 100% risk of catching a heartworm infestation. In case of heartworms, usage of preventive treatments may be the only assurance of safety. If your pooch is not treated or prevented, these worms can live up to 5-7 years without giving a slightest hint of their existence in the body. This infestation prevails in all 50 states of the country. Your pet can get infected anytime, irrespective of seasons and state. Heartworms in dogs may get crowded in the heart or lungs. As a result, your pooch may get cough have breathing problems and other heart issues. Adult heartworms in dogs are longer than 26cm, shows the study of the Companion Animal Parasitic Council. To sum up, if you want to keep your canine away from heartworm diseases, prevention may be the only way out. In this case, prevention is better and economical than treatment. It is recommended to keep your furry friends on preventives like Heartgard Plus and Revolution to protect them from the worms and diseases caused by them. PREVIOUS POST Previous post: Bird As A Pet- Look Out For These Health Issues! NEXT POST Next post: Fact Files: Unusual Facts About Flea And Tick!